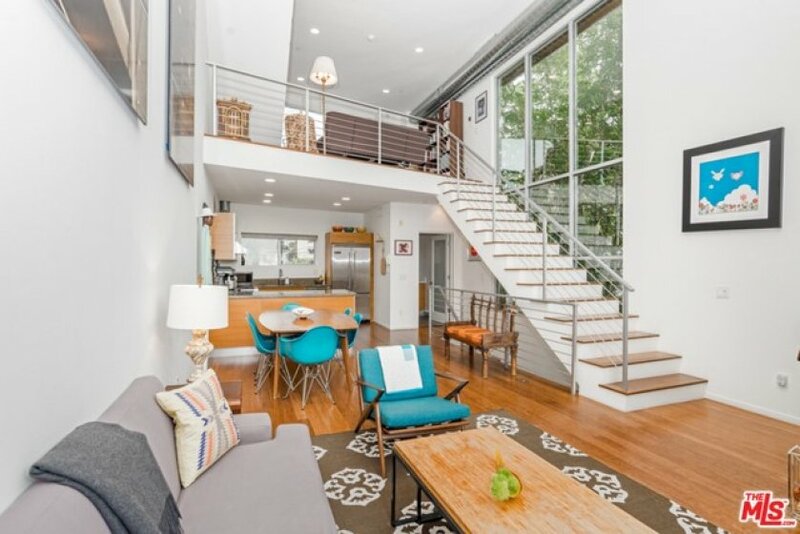 Architectural Stunner in the heart of Silver Lake! 2 Bed, 2.5 Bath live/work end unit Loft with 17' high ceilings, 3 walls of glass and abundant natural light throughout. Open living, kitchen and dining experience with Mezzanine overlooking main living area. Viking Stainless Steel Appliances, Bamboo floors and gallery sized wall space. Hansgrohe faucets, Whirlpool tub, stone and granite countertops. Spacious bedrooms with ample closet space. Great roof deck with panoramic landmark views. Nest thermostat, private intercom entry system and alarm system. Direct access private 2-car garage with washer/dryer. Listing provided courtesy of Lexis Shontz at Keller Williams Realty Los Fel.